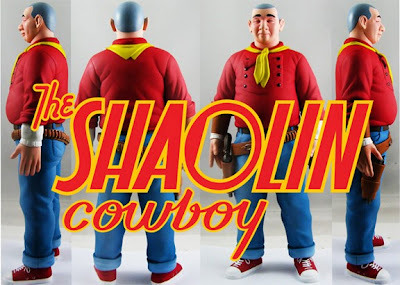 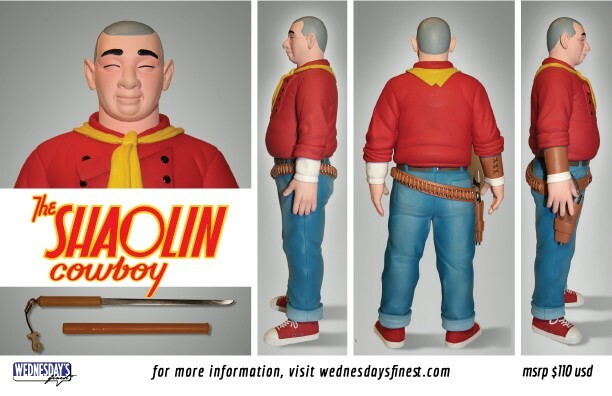 Geof Darrow's Shaolin Cowboy vinyl figure stands 14” tall, was sculpted by Monster 5 and produced by Wednesday’s Finest. 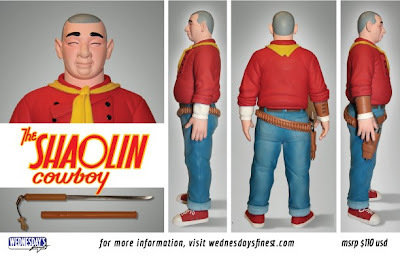 For now two colorways of this figure have been planned, the Regular Comic Book Edition with a run size of only 300 pieces, and an as of yet unannounced colorway of Geof’s choosing. 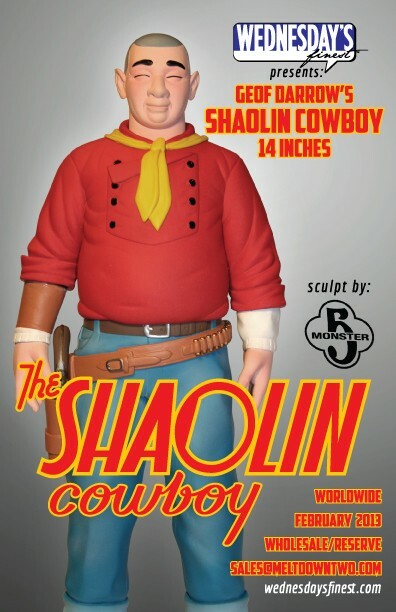 The Blot can’t wait to get my hands on one of these!!! Just think how awesome it’d look next to Super7’s Tao King vinyl figure (also based on the artwork of Darrow).